To help increase safety for women on mass transport, cities in Latin America are requiring women-only passenger cars on metro systems. Photo by Gustavo Gomes/Flickr. Cities around the world face the challenge of creating safe public spaces for women. 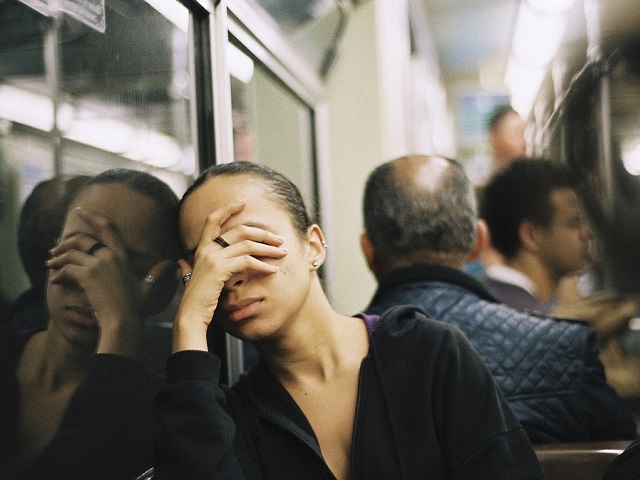 In Brazil, sexual assault is a prevalent problem. Alarmingly, a survey by the Instituto de Pesquisa Econômica Aplicada, a major Brazilian research institute, found that 26% of respondents* agreed that “women who wear clothes that show off their body deserve to be attacked,” a finding that sparked considerable public response. Perceptions around sexual assault challenge cities to create safe environments for women, including safe public transport. 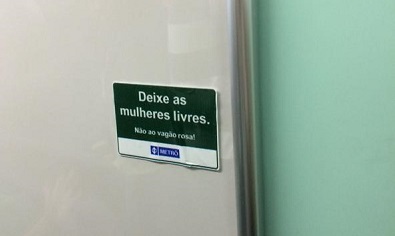 In São Paulo, 33 men have already been arrested this year following sexual harassment claims from women passengers on the metro system. Cities around the world have responded in different ways to ensure women’s safety when using public transport. In the United States, cities have used successful awareness campaigns to discourage harassment and empower women to report improper conduct. Cities in India, Malaysia, Taiwan, Indonesia, Mexico and Brazil also use women-only passenger trains and buses to reduce assault. The following article from our colleagues at TheCityFix Brasil sheds additional light on the challenges cities are facing as they try to create safe public transport for women and other marginalized communities. Stickers posted to metro cars in protest of new law. Photo via TheCityFixBrasil. A similar measure was passed in 2006 in Rio de Janeiro, and applies to the rail system and the Superhighway MetrôRio. The law, however, is not consistently enforced. In 2012, the Commission for Consumer Protection of the Legislative Assembly (Alerj) filed a class action lawsuit demanding that the two operators enforce the law, and would be subject to a penalty if they failed to comply. The lawsuit also demands that Agetransp, the agency that regulates transportation in the state of Rio de Janeiro, complies with its obligation to supervise the two operators. * Editor’s note: A previous version of this article stated that, according to the Instituto de Pesquisa Econômica Aplicada (IPEA), 65% of respondents agreed that “women who wear clothes that show off their body deserve to be attacked.” IPEA has since admitted that it published the wrong data, and the figure has been corrected to 26%.